And it's an absolute beast. The future of VR is bright. Virtual reality headsets are becoming increasingly affordable, and the technology has come a long way over the last eight years. And today, we get to experience the newest and greatest the VR world has to offer —if you can afford it: the $5,800 XTAL headset by VR startup VRgineers. We first heard about the XTAL earlier this year, but a new and improved version is about to make its debut at the Consumer Electronics Show — the world’s biggest tech show — in January, TechCrunch reports. 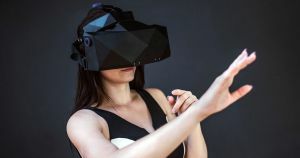 The Prague-based startup’s headset features some amazing specs: two Quad HD (2560 x 1440 resolution) OLED (organic LED) displays, and an impressive 180-degree field-of-view. VRgineers touts the XTAL’s lenses and displays to be “best-in-class” on its website, while promising “no blurring” thanks to the headset’s new-and-improved 180 degree field of view. Blurring around the edges of the lenses is a common issue with conventional VR headsets. By increasing the field of view to 180 degrees, the XTAL could reduce that effect substantially. 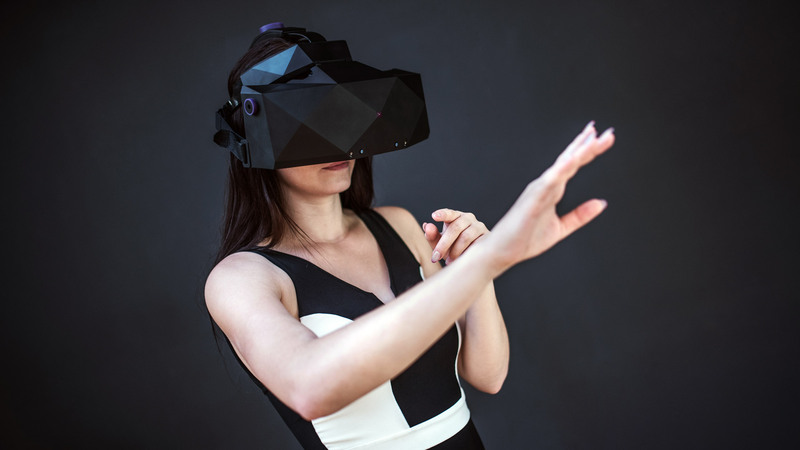 Users will also be able to track their hands while wearing the headset thanks to integrated Leap Motion sensors. Did I mention the headset itself is an absolute unit? $5,800 is pretty steep for a virtual reality headset these days — Oculus Rift is planning to sell a standalone, but far less impressive headset for just $399 as soon as next year. So who’s it for? But at such a high price point VRgineers is targeting a professional audience, not your average gamer. The startup suggests that the XTAL could be used by automotive designers, and engineers on its website. Will there be a future for high-end VR headsets? That will mostly be up to the enterprise market to decide.